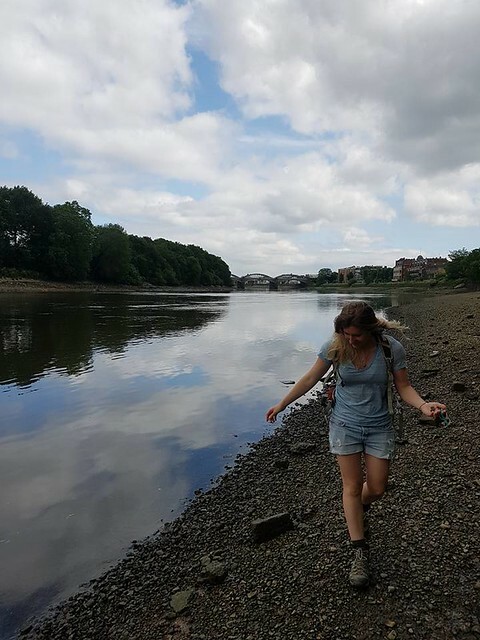 Whether you’re a country bumpkin at heart, or you’re a simply feeling a little jaded with city life, there comes a time when every Londoner looks beyond the M25 for a little adventure. If you have neither the funds nor the time to jet off however, there are a load of adventurous activities in London on your doorstep that are waiting to be discovered. Take a look at my A-Z guide below! Get a bird’s eye view of London’s skyline and an adrenaline rush at the same time with a trip down the ArcelorMittal Orbit. At 262 feet, it’s the highest abseiling point in the UK, and you can spot several of London’s famous landmarks from the top. For more information and booking, check the ArcelorMittal website. London might not have the world-famous bouldering destinations as its neighbours in France and Spain, but it has a plethora of indoor bouldering gyms that are enough to give even the biggest climbing junkie an adrenaline rush. The most popular centres are The Arch and Vauxwall, and The Castle in North London is an institution itself. The Fairlop Waters Outdoor Boulder Park also features artificial outdoor bouldering, and is accessible on the underground. It wasn’t until a year ago that I even knew the existence of caves in London. In fact, there are a network of caves in Blackheath, which have an interesting history if you can ever find them – more history and information can be found on The Londonist website. For a more…established caving experience shall we say, head over to Chislehurst Caves. This extensive network of caves stretches for 22 miles, and was used in WWII as a bomb shelter. South Africa and Australia might be known worldwide for their shark diving destinations, but if you’re short on time and money you can easily snorkel with sharks right within Zone 1. Head to the SEA LIFE Aquarium by South Bank and snorkel with Sand Tiger Sharks, Black Tip Reef Sharks and Nurse Sharks. While there, you also have the opportunity to learn more about marine conservation and how you can protect marine life. Forget hopping on a plane to Africa, you can see giraffes, lemurs and monkeys all in central London with a tap of your Oyster card. ZSL offers a range of experiences, including being a zookeeper for a day, and smaller activities with individual animals, such as feeding the penguins. There’s options for everyone, whether you dreamed of roaming the Sahara or waddling with penguins as an Antarctic explorer. Also known as parkour, freerunning turns the entire capital into one giant playground. Before jumping backflips over London’s skyscrapers though, you might want to take some classes. Parkour Generation offers classes for all ages and abilities, and even offers women-only introductory classes. Who didn’t love scavenger hunts and stories about lost treasure and secret maps when they were kids? Heck, I still do. Geocaching turns London into one giant treasure map, and turns even its most mundane spots into potentially exciting hiding places. To get full access to geocaching hunts, check out more info via the geocaching app. Why not see London on four legs instead of two? Horse riding is offered all over London, including popular landmarks such as Hyde Park, Docklands and Wimbledon. Take a look at this map to see where you can take lessons, or simply canter around the fields and parks of the capital. While adventurous summits on icy mountains might require you to venture out of London, the good folks at Ellis Brigham have brought you the next best thing – and you don’t even need to venture out of Zone 1. Covent Garden might be the last place you would expect to find an ice climbing wall, and in a shop no less, but at the back of the Ellis Brigham store you will find Vertical Chill, their indoor ice-climbing centre. Full tuition is provided along with kit, and there are routes available for beginners through to grizzled mountaineers. Maybe you were left inspired after the Olympics, or maybe you always dreamt of being the Karate Kid (or maybe Johnny Karate if you’re still young at heart). Either way, there are more dojos in London that you can shake a nunchuck at, and many offer taster sessions and lessons for all levels of ability. From the busy waters of the River Thames to the wilder reaches of the River Lee, there are numerous places where you can explore London by kayak, at your own pace. There are several options across London for kayak rental which can be seen here, and the Lee Valley White Water Centre offers introductory and white-water adventures too. For those looking for an urban adventure in London, Secret Adventures several night kayaking trips around London (we recommend the kayak to the brewery tour!). Forget your teenage sk8er boi days of tripping or falling over boards at the local skate park. London’s parks and industrial areas are teeming with spots to give this sport another go. For those wanting to avoid the embarrassment of falling flat on their face, female-friendly Gutsy Girls offer beginner and intermediate longboarding sessions. To find some sweet spots for mountain biking, the Central Line/Overground trains will be your friend. Head to Epping Forest where singletrack and off-road trails zig-zag for miles across the park. For those wanting somewhere closer to the city, the Lee Valley VeloPark by the Queen Elizabeth Olympic Park is a good option, particularly for those needing to rent equipment or squeeze in a ride after work. Both offer trails for all levels and abilities. Keep an eye out for London’s little pockets of gardens throughout the city – often these contain abandoned pieces of architecture that highlight an important part of the history of London, such as St Dunstan in the East Gardens. Alternatively, take a walk along the shore of the Thames at low tide, and give mudlarking a try. Old coins, jewellery, Victorian odds and ends – you never know what you may find! Londoners with a competitive side will love this sport. Orienteering tests your navigational skills by challenging competitors to reach specific landmarks within a certain area, by creating the most efficient route possible. This is an excellent way to explore London for those that have seen the city’s main sites, and would like to see its little-known nooks and crannies. British Orienteering offers advice and best practices, and there are several orienteering clubs in London that hold regular events/competitions – perfect for meeting new people and seeing more of London whilst challenging yourself. You might think power kiting is what you do on sandy beaches in tropical locations, so you’ll be surprised to learn that you can give it a go right in London’s parks! The folks at KiteVibe offer lessons at several locations in Richmond Park, and claim you can enjoy power kiting on grass, sand and even snow! Okay, so eating might not sound like much of an adventurous activity around London, but it’s a different story altogether if you have to source the food yourself around London’s green spots. Luckily there are loads of information about what kind of fruits, vegetables and other greens are located around the city online, and you can even join regular meetup groups or classes to learn more. If you’re the type of person to run into people while on skates (intentional or not), and enjoys going fast without always knowing how to stop without hitting the wall, then roller derby might be the adventurous sport for you. Sure, the floor may be hard and you have to take some bumps and bruises, but that’s what the knee pads and helmets are for! To give it a try or if you are interested in joining a team, take a look at the London Rollergirls page. Admittedly, London might not have the crystal-clear waters of Hawaii or Florida, but paddling the capital’s large network of canals offers an adventurous option of seeing an alternative side of London. For those just getting on board with this sport. Wakeup Docklands in East London offers inexpensive introductory lessons. Active360 offers lessons, trips and even SUP yoga along the picturesque canals of Paddington for those that have tried it before, or want to be close to public transport. Running is a great sport for those on a budget; just slip on a pair of running shoes and the world is one giant trail. 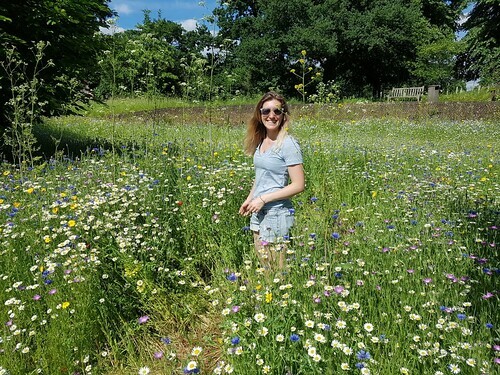 Considering London is one of the greenest capitals in the world, and access to its parks are free, there are a wealth of trails and routes waiting to be explored. Hampstead Heath offers some wild pockets in the capital, while the popular Hyde Park and Greenwich Park offer the opportunity to do some sightseeing around its various follies and landmarks. With a city as big as London and a history as varied and rich, it’s obviously going to have some intriguing stories hiding in its abandoned corners and alcoves. Discover some of these places with the good folks at Hidden London. Featuring abandoned underground stations, train stations turned wilderness parks, and even London’s first skyscraper, you’re bound to find something new about London! Surprisingly London has a selection of urban beaches scattered throughout the city, and it is here you can give beach volleyball a try. The London Beach Volleyball Club offers lessons, tournaments and social events for anyone who is interested in giving this sport a try. Wild swimming in London is the perfect aquatic adventure fix for those that are easily bored by swimming lanes in chlorinated pools. The Hampstead Pools located in Hampstead Heath will make you feel as if you have escaped to the country, and even have a diving jetty and changing huts. The Hyde Park Lido is also a central option for those looking to squeeze in an evening dip on their way home. Hark back to your childhood days, only this time do it with a lot more air and no grazed knees. The XPogo can go several feet high and you can do tricks on them, not to mention set Guinness World Records. Check out XPogo for more information and prices. Sure, yoga has been around for years in London, but nowadays you can get your stretch on at various weird and wonderful locations all over the city! Try some sunrise yoga in tropical surroundings at the Sky Garden, or attend one of Lululemon’s various free classes – in the summer, they host open-air sessions in one London’s various small gardens. Check your nearest store’s website for more information. What better way to see London’s skyline than from the treetops – or should that be building roofs? Even if it is over in the blink of an eye, there are multiple places where you can give ziplining a try in London. Go Ape have venues in Battersea Park and Cockfosters, and the Zip World team bring ziplining to London each summer to London with their Zip Now antics at the capital’s South Bank.